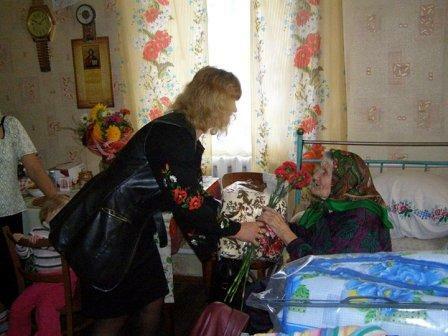 The veterans of Lypovechyna feel themselves needed and respected. Grygorii Kaletnik, the Deputy of the 18 district tries to help each veteran, for they could feel themselves needed and respected. During this week he sent his assistants to Skytetska territorial community where one family celebrated a great occasion. 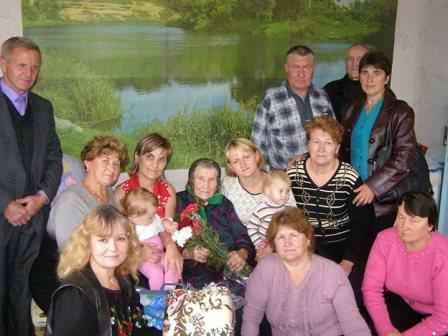 The veteran of war, Kateryna Kravets, celebrated the 90-year anniversary. This woman deserves deep respect for the diligence and courage, because in her 19 years, she was forcibly removed in Australia. Later she worked at the military factory, which produced ammunition. 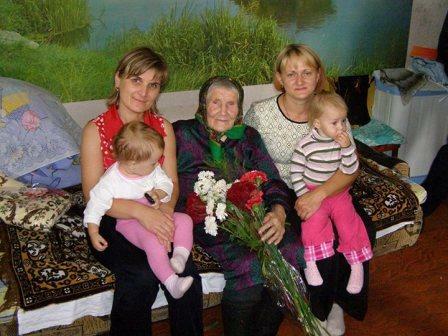 During the postwar years she worked tirelessly for to raise her 4 children. All of them received high education, have a decent job and authority in the public society. All these qualities they received from their mother. Grygorii Kaletnik gaved to Kateryna Kravets gifts, flowers, sincere congratulations and wishes of good health, family welfare and comfort for to give her strength, faith and hope for the best.